1. The Country’s First Wine Country! Yes, Augusta, Missouri, was named the first American Viticulture Area on June 20, 1980. Napa was second. The Ozark Mountain AVA, encompassing sections of southern Missouri extending into Northwest Arkansas and Northeast Oklahoma, was established in Aug. 1, 1986. 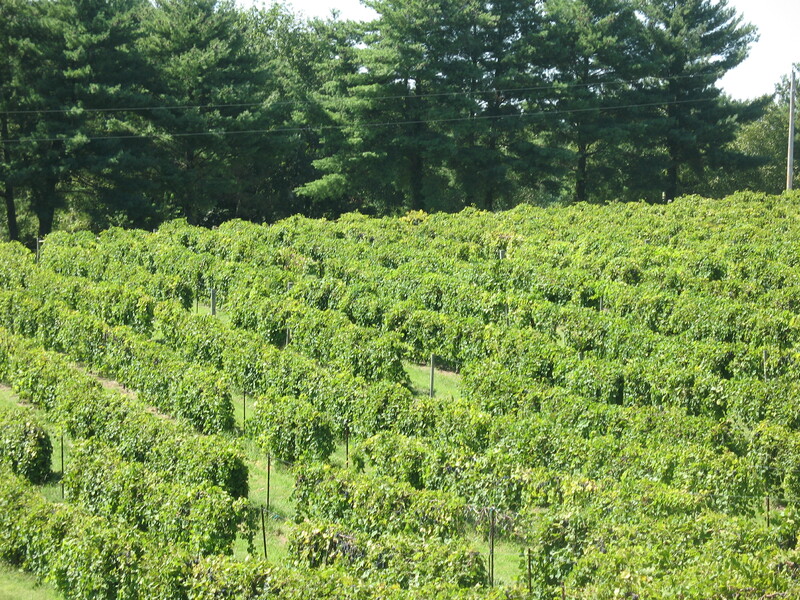 The Hermann and Ozark Highlands AVA’s were designated later in 1987. The AVA distinction is an honor as it recognizes the unique soil, climate and wines of an area. Visitors of Missouri’s Wine Country can take in the beauty of the rolling hill countryside and breathtaking vistas. 2. Missouri is the regional leader in wine production! Ranking 8th in the nation in wine production, Missouri dominates the Midwest in producing award-winning wines! With varieties ranging from sweet to dry, there are tastes to suit everyone’s palate. 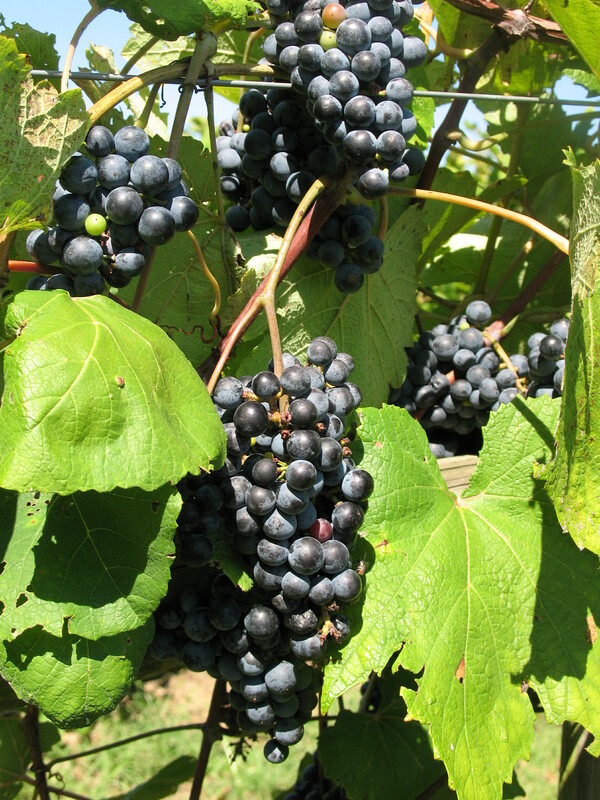 Missouri is a great state for grape-growing and wineries. Pick up a Missouri Wines passport during your next winery visit. Get stamps and get rewards. You can earn a reward in as few as four winery visits. Use your passport as a wine tasting journal making notes and recording memories. Missouri has five wine trails that serve as great navigation maps through wine country, not to mention their special events celebrating the seasons and happenings in their areas. The Hermann, Missouri River, Weinstrasse, Ozark Mountain and Route Du Vin wine trails are located throughout the state. Check out www.MissouriWine.org for details. 5. Norton is the official state grape of Missouri! An all-American grape founded in Virginia by Dr. Norton, this grape produces delicious dry robust red wine and port. As a native grape its rootstocks are hardy and flourish in our growing climate. The Missouri Wine and Grape Board partners with the University of Missouri’s ICCVE program and MSU for ongoing grape research for heartier, disease-resistant grapes, a priority for our state. The vibrant agriculture aspect of grape growing is key to our great tasting wines. Although we’ve been growing Concord, Norton and Catawba for more than a 100 years, new varietals like Vignoles, Traminette and Chambourcin add variety to Missouri’s wine offerings. 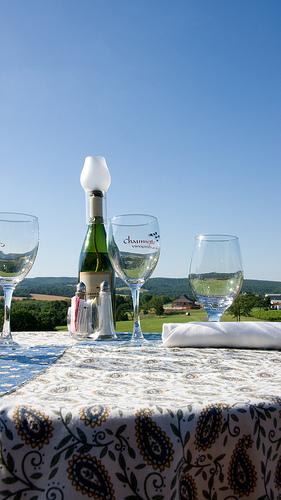 Chaumette Vineyards and Winery has extra features, such as a spa and villas. 7. Spas, Caves and Restaurants oh my! Each of our 90 plus wineries offers a unique experience. Ste. Genevieve is home to Cave Winery as well as Chaumette, which includes a spa and villas for a luxurious get-a-way. If you’re looking for history, head to Lexington and visit Baltimore Bend Winery. Or westward to Kansas City for an Urban Winery Experience at Inland Seas Winery. And we can’t forget the historic St. James region. Once known for growing concord grapes for Welch’s, this area is now home to St. James winery the state’s largest producer of wine. If rolling down the river is more your style head to the Meramec River and stop at Peaceful Bend Winery. The list goes on and on – there are so many unique experiences. Venture out to Missouri Wine country today! For more details go to www.MissouriWine.org, or call 800-392-9463 for a brochure. Written by Danene Beedle, marketing director for the Missouri Wine and Grape Board.